Explore the benefits of gardening with Native plants! We will introduce you to common native plant communities in Portland, show examples of species that do well in similar growing conditions, share successful planting tips that will help them thrive and more! A native plant slideshow will highlight characteristics and desired growing conditions of many local favorite native groundcovers, shrubs and trees. 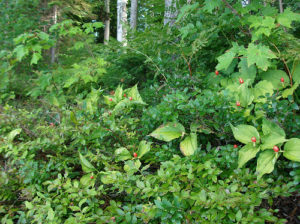 You’ll walk away with loads of information so you can decide which native plants will work well in your yard. This FREE workshop is part of the Naturescaping Series put on by East Multnomah Soil & Water Conservation District. Amy will be your presenter for this class.